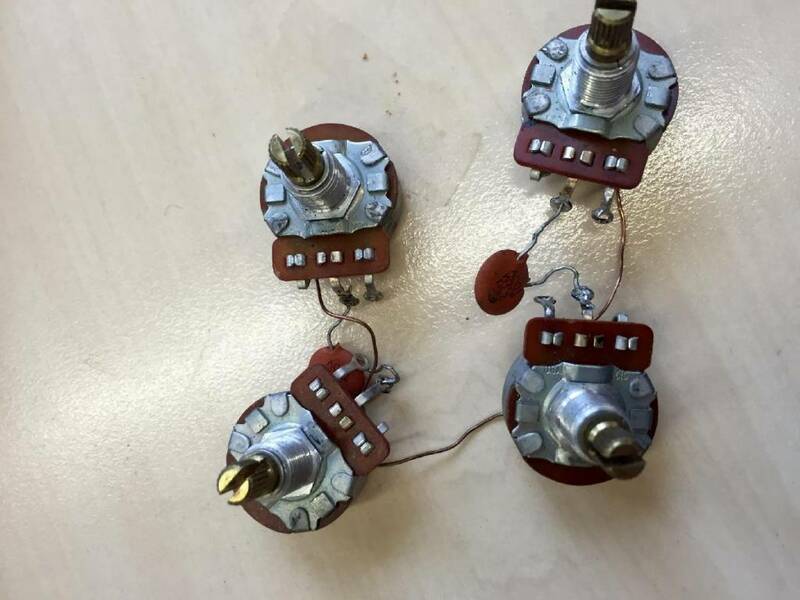 4 original Gibson potmeters. Will fit SG, ES and Les Paul guitars. 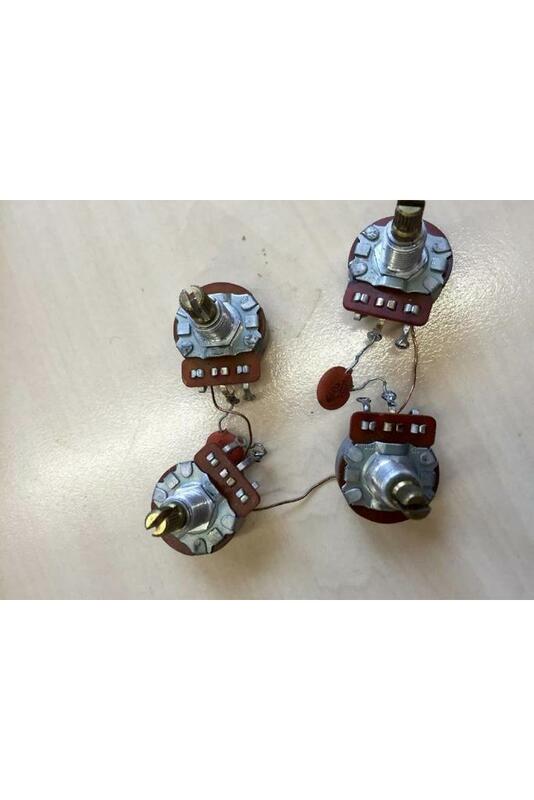 Including 2 original capacitors. Made in the 70s. The ground has already been soldered together.